Granted incredible strength, speed and damage resistance by his father's goblin serum, Harry Osborn becomes the cackling criminal known to the world as New Goblin. Screaming through the air aboard his sky stick, leaving a trail of black exhaust and crazed laughter behind him, he stalks Spider-Man through the Manhattan skies. With enough pumpkin bombs to level a city block, and blades to spare at his disposal, there's no way the web slinger can escape! Add this friendly neighborhood action figure to your collection! 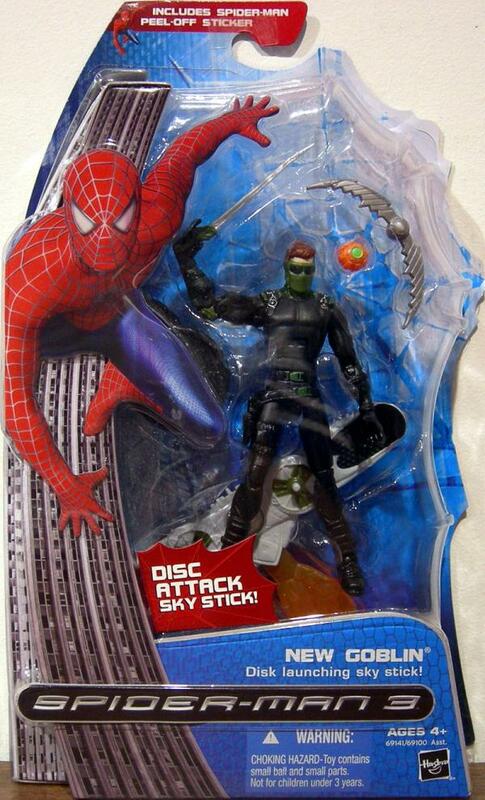 This New Goblin figure “rides” on his sky stick! Load a disk and press the flame to launch it! 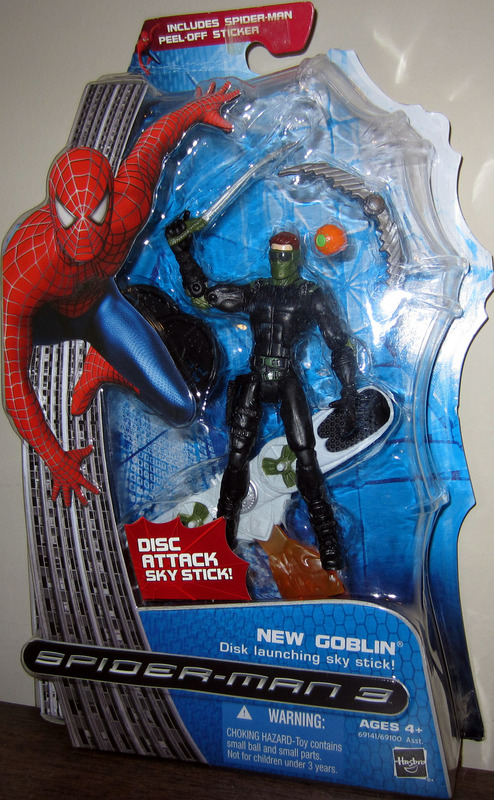 Figure comes with Goblin boomerang, pumpkin bomb, sky stick, disk and a Spider-Man peel-off sticker. 5" tall.